These pages are about the Ian Proctor Minisail. It started as a blog at My Opera.com about the building of one (a wooden Sprite M.S.). Now it’s here at WordPress.com. The Minisail Sprite is finished but the blog is still here. Eight years ago I was given a Minisail. With a broken mast-foot and years of neglect spending in the back of a garden it was in need of major repair. Did so and have sailed it until it was too tired, in summer 2014 it was dismantled. 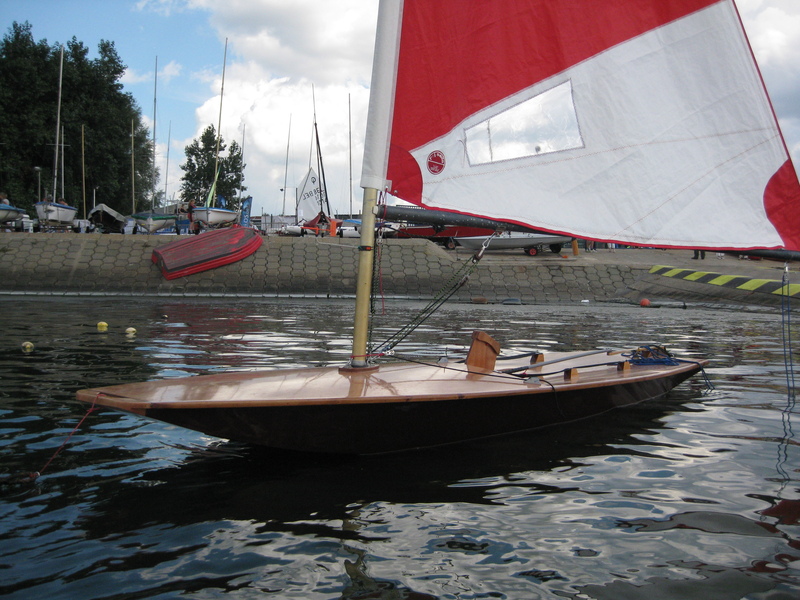 In September 2011 a Wooden dished decked Minisail was for sale on Ebay. I won the auction, went over to Bristol to pick her up and came home with a perfectly maintained 50-year-old wooden boat. Hull 2427 didn’t last very long and was replaced by another GRP Monaco (hull nr 949). This one is now in Holland. Autumn 2015 I was given an all wooden Meson. Now restored in it’s former glory. Hullnumber unknown, sailnumber 2287. 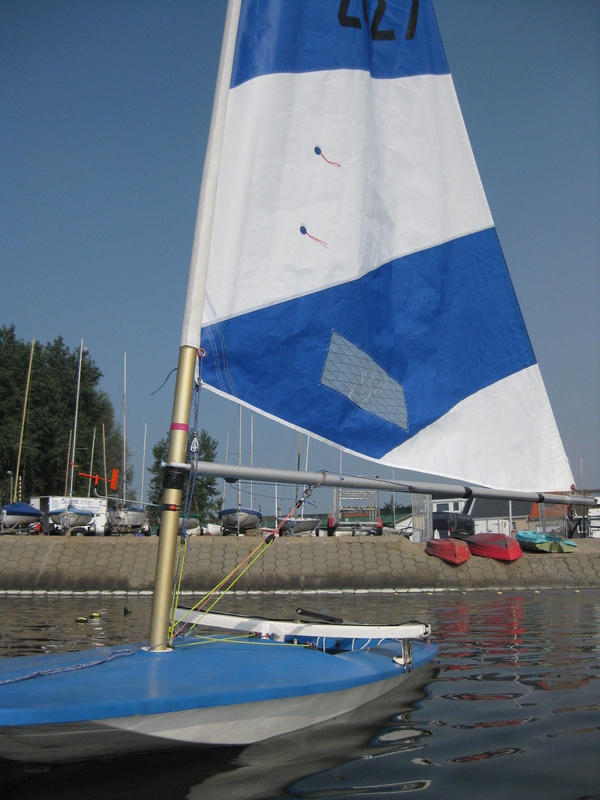 A Minisail is a 13 foot (about) dinghy. All you want to know about it and probably more is to be found in The Minisail Class Association website.